That’s the title of our first 2014 Institute of Integrative Biology seminar; Monday 6th January, 1 pm in LT2. The speaker is Dr Fred Currell from Queen’s University Belfast. 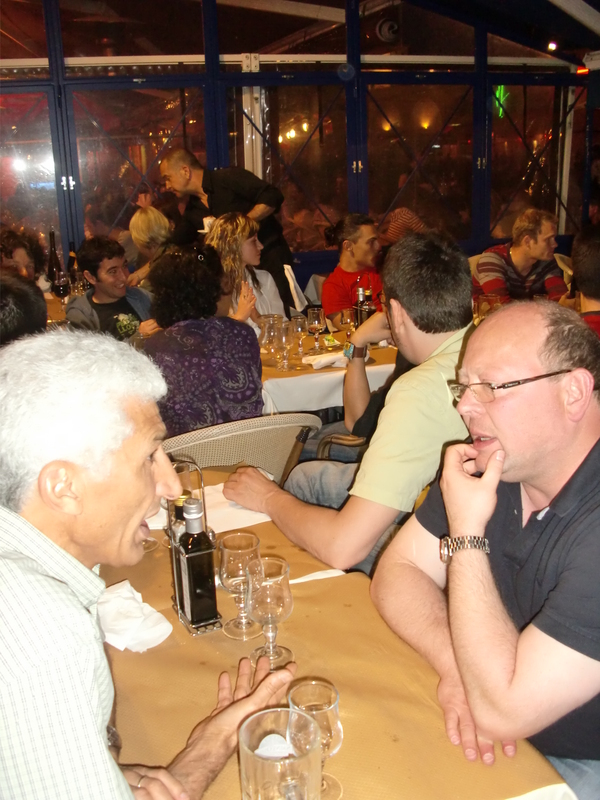 I met Fred for the first time at the Bionano Symposium at the E-MRS spring conference in Strasbourg. Let me know if you would like to meet the speaker on Monday afternoon. Inorganic nanocrystals (such as luminescent quantum dots, metallic and magnetic nanoparticles) exhibit unique optical and physical properties and they can be highly sensitive to potential interactions with proximal dyes and metal complexes. We have developed approaches based on covalent and non-covalent self-assembly to conjugate a various biomolecules to CdSe-ZnS core-shell QDs rendered water-soluble using polyethylene glycol (PEG)-based modular multifunctional ligands. In this presentation, we will focus on three aspects: 1) describe the ligand design we have developed to promote the transfer of these materials to aqueous media and their conjugation to proteins and peptides; 2) the use of these materials and their bio-conjugates to image intracellular compartments and as sensing assemblies that are specific to target proteins and small molecules; and 3) explore the reverse process where the newly developed ligands are used to promote the synthesis of other nanocrystals such as gold nanoparticles. 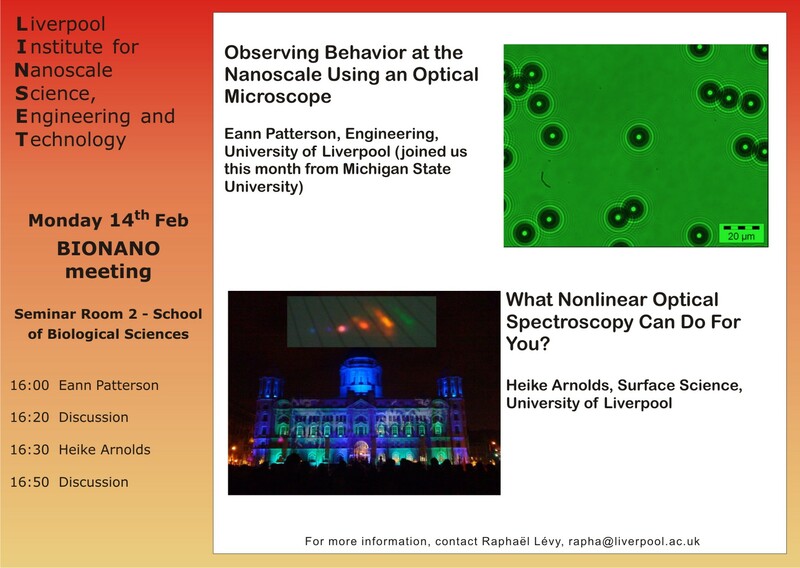 On Monday 14th of February, Eann Patterson, who is just joining us as a new Professor in Engineering, and Heike Arnolds, from the Surface Science centre, will be the speakers of our Bionano meeting. Join us at 4pm in SR2 (School of Biological Sciences); You can download the poster as a pdf here. 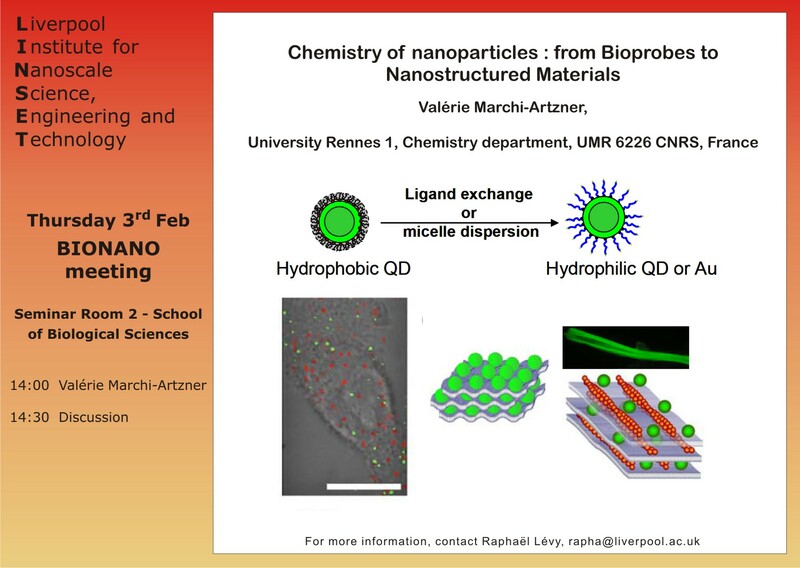 Valérie Marchi-Artzner will be visiting next week and she will give a talk on Thursday 3rd Feb, 2pm, in SR2 (School of Biological Sciences).